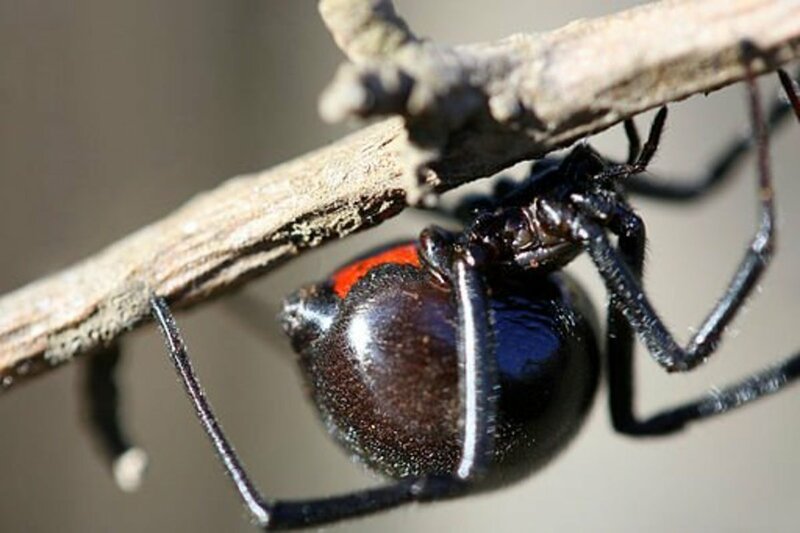 Few people are aware of how black widow spiders contributed to the World War II effort, but they had a significant impact. In fact, a LIFE magazine article published on August 30thof 1943 credited each of several government employed arachnids with spinning between 100 and 180 feet of thread a week (1). This thread was then used to make cross hairs in the gunsights of U.S. Army instruments of war. This is not the first time spider thread was employed for this purpose. Before World War II began, different species of garden spiders had threaded various precision optical devices throughout the United States (1). However, with the arrival of war, the black widow was used out of necessity to supplement a dwindling supply of material (1). 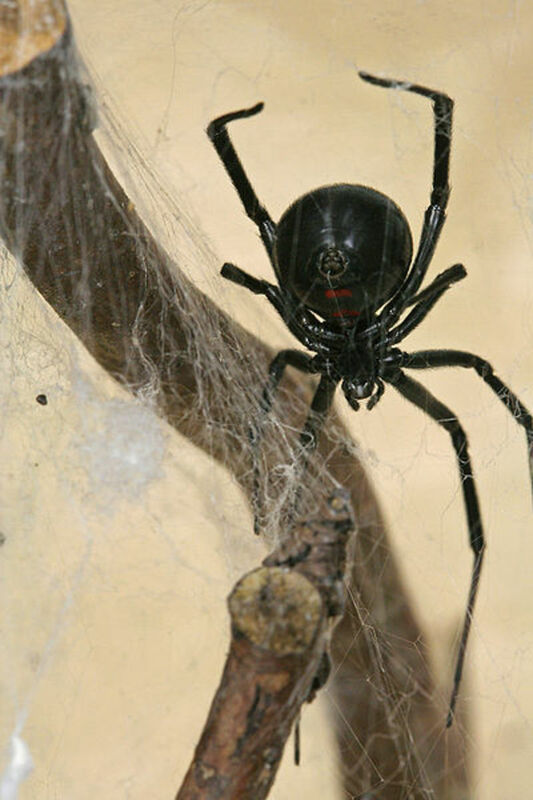 Ironically, workers at the U.S Army Quartermaster Corps spider web production shop, where thread was collected, found black widows much easier to use than the other less poisonous but faster moving garden varieties (1). The Quartermaster Corps was in charge of all aspects of thread collection, including spider gathering. They did this on base at Fort Knox, Kentucky, where soldiers famously encountered high populations of black widows during outdoor training (1). After on-base collection, the specimens were sent to Columbus, Ohio, where they were housed in glass jars, fed two flies each week, and began systematically producing thread (1). Thread production was a hands-on and time consuming process. 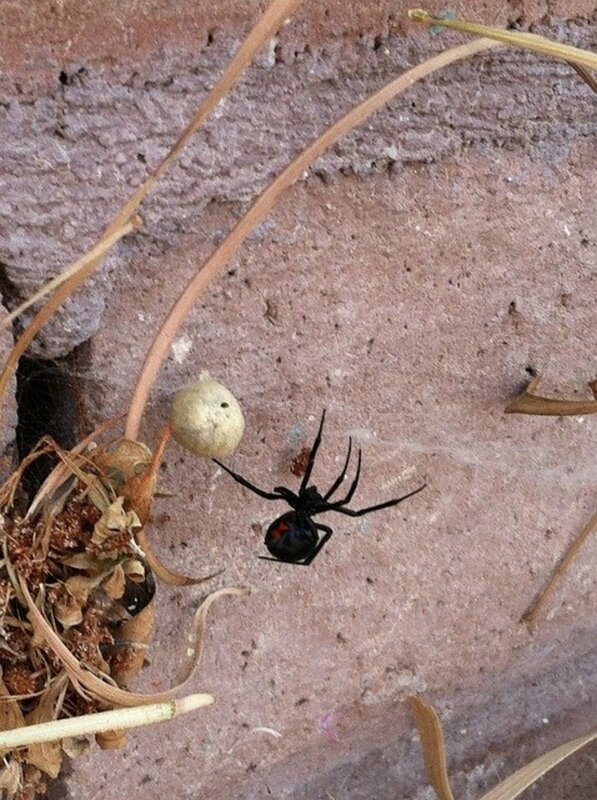 It was done every two days, after the careful removal of a black widow from its glass jar (1). The spider was then gently placed upon a wire coat hanger that was bent to form a spindle-type structure (1). As the spider dangled from the hanger, continually spinning its thread, the hanger was rotated to steadily collect the growing strands (1). Following collection, the web material was unwound. The free floating end was covered with a piece of plasticine to assist with the unwinding process (1). Then, pieces of the thread were cleaned of dust and debris with a brush coated in acetone (1). Finally, the web segments were strung upon a diaphram and fitted to a surveyor’s transit (1). The army went to such efforts because of the unique qualities of spider silk that made it superior to other more easily supplied substances. 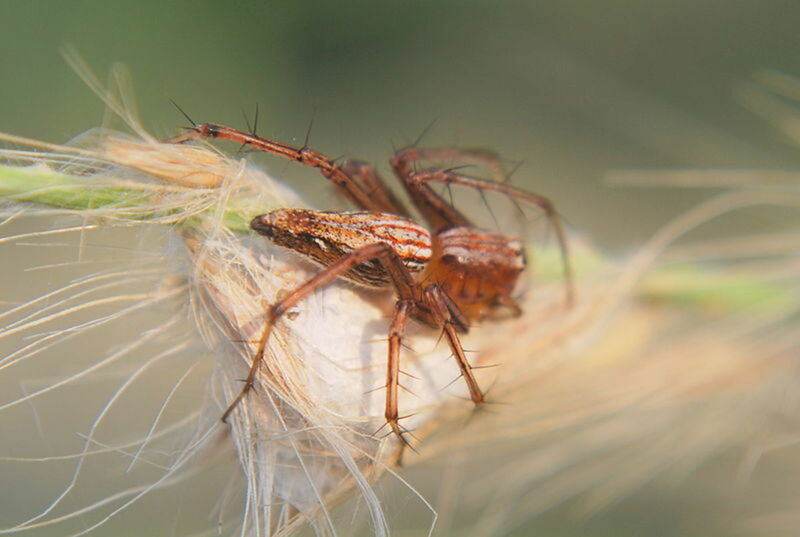 A spider’s spinnerets produce thread as thin as one fifth the diameter of human hair, yet it is almost unbreakable (1). In fact, platinum or steel wire made of a similar thickness is much less durable (1). Spider thread is not only strong, but also elastic, and stretches tightly in the strong, straight line necessary for cross hairs (1). In addition to this, it is uniform in diameter and can withstand extreme temperatures better than other known materials (2). Unfortunately, in addition to being a painstaking process for human workers, thread production of this magnitude had an even greater toll upon the spiders themselves. In a few months they each produced more thread through this collection method than they would normally produce throughout their lives (1). Because of this, their usual year long lifespan was reduced to a mere four months (1). 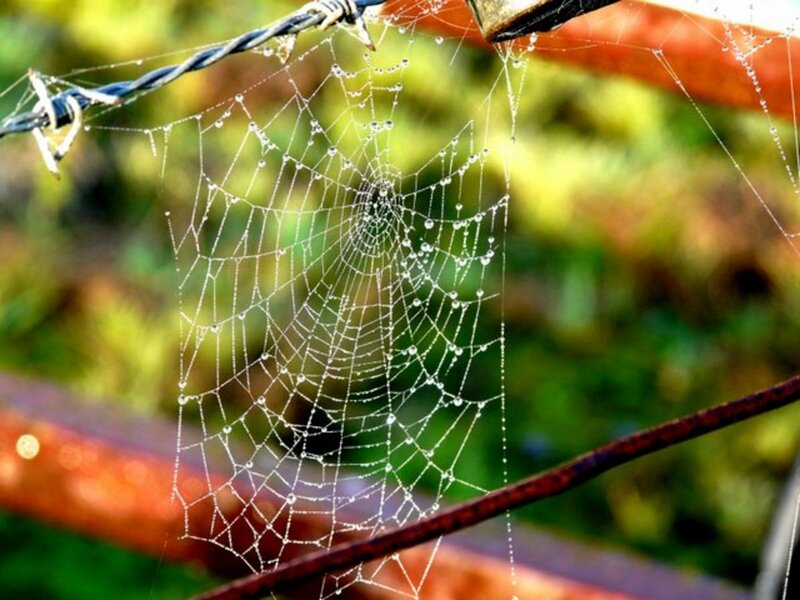 Spider web was used as far back as ancient Greece as a suturing thread to hold wounds shut (2). The Australians fashioned it into fishing line and the New Guineans manipulated it into nets (2). The dexterity and strength of the substance has been known throughout the world for thousands of years. George Ketteringham was apprenticed to John Ulmer, an optical instrument manufacturer, in 1896 (2). During World War I he worked as a member of the Ulmer company on the development of the periscope, an instrument enabling concealed observation with the use of mirrors (2). By the time of the Second World War, Ketteringham was an employee of the Brush Development Company helping design underwater submarine detectors (2). While an employee for both companies, Ketteringham routinely collected web for the cross hairs of the instruments he was working on (2). Every year, from August to September, he would catch garden spiders, specifically black ones with orange colorations, and house them in cages he fashioned himself (2). After silk collections, he would place the material upon rings to be fit into various devices (2). In 1939 Nan Songer was informed of a great U.S. government need for spider silk (2). 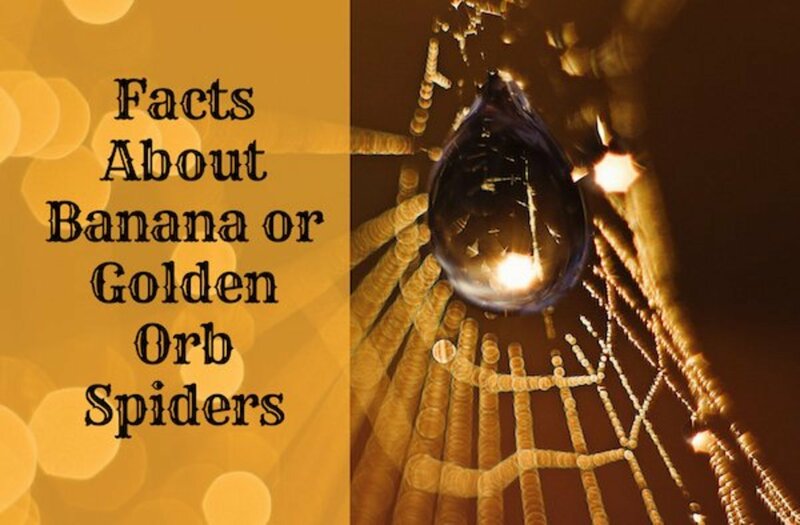 Hearing this, she went out and collected spiders and their egg sacs from plants and trees, placing them in glass jars and housing them in the front of her farmhouse (2). 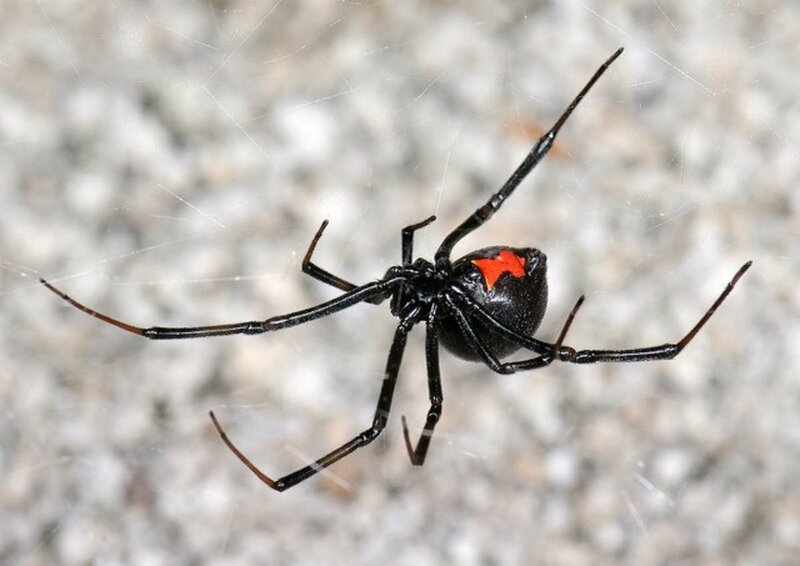 Well into her operation, a San Bernardino newspaper wrote a story on Songer’s efforts and informed the public of her need for black widow spiders. Unexpectedly, her supply greatly increased when readers began sending her shipments of arachnids from across the country (2). 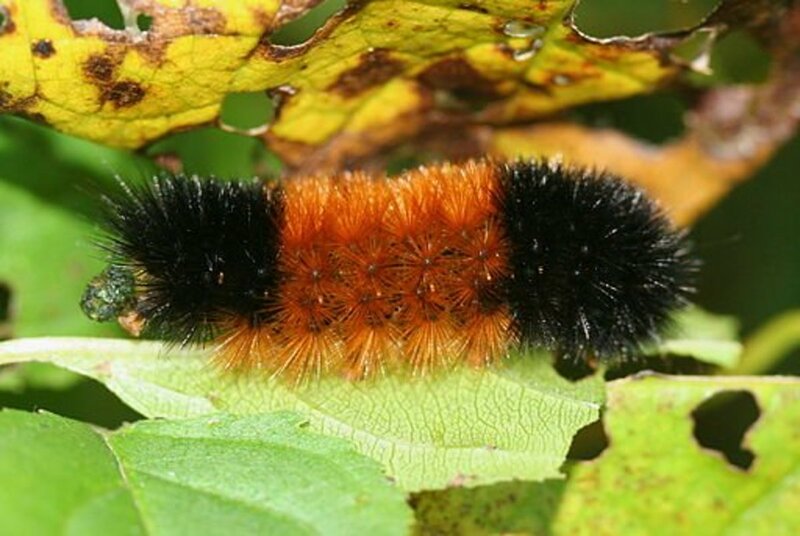 This was done in spite of the federal law prohibiting shipments of poisonous insects (2). However, instead of contacting her to condemn this event, the government merely requested silk. The U.S. Bureau of Standards asked Songer for thread with a one ten thousandth inch diameter (2). This was no easy feat, and it took about two years to separate each thread into smaller two or three pieces (2). She used banded, golden, black widow, and lynx spiders throughout this process, which she considered the top producers (2). Her amassed silk was used for bombsights and instruments in high altitude bombers and was sold at a price of twenty dollars for every hundred feet (2). 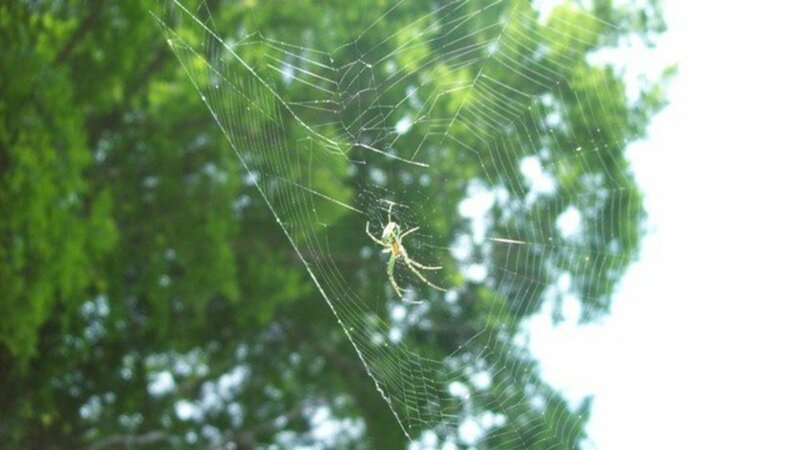 In 2002 the Nexia Biotechnologies company and the U.S. Army Soldier and Biological Chemical Command discovered how to manufacture spider silk without using spiders (2). They took the genes responsible for silk production and implanted them in cells of a cow udder and hamster kidney (2). These cells gradually produced a protein-rich mixture, the proteins of which were squeezed together to create silk filaments (2). 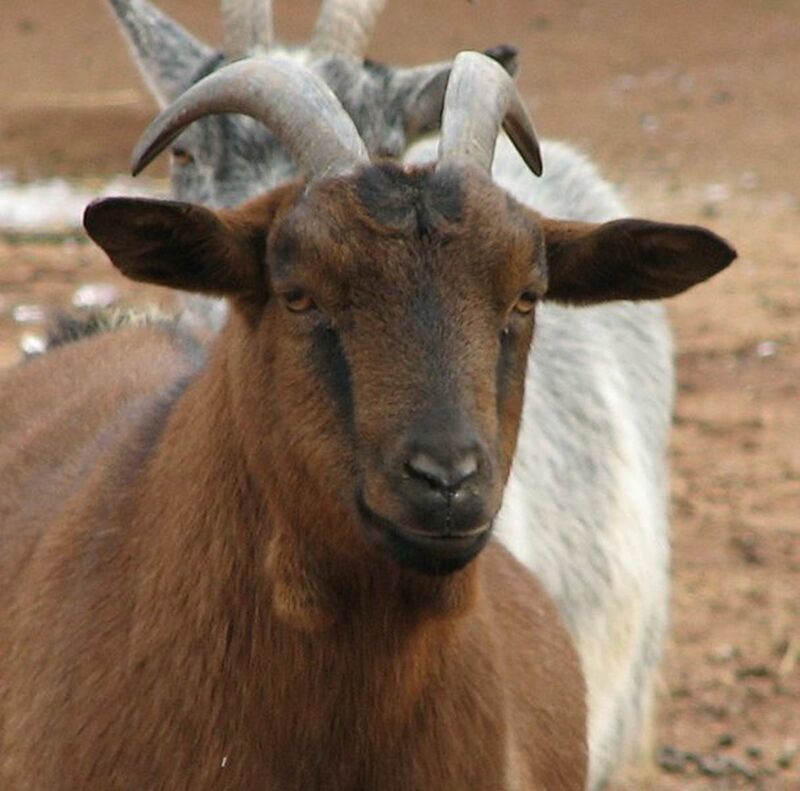 Silk-producing genes were then added to the eggs of goats. Resulting offspring were modified to secrete the silk within their milk, producing it in large enough amounts to be useful (2). This was only possible, according to Dr. Jeffrey Turner, president and chief executive of the Nexia Biotchnologies company, because of the similarity between the goat milk gland and the spider silk gland (2). The two structures are close to identical. There are few, if any, drawbacks to this process. Modified milk still tastes and looks the same. 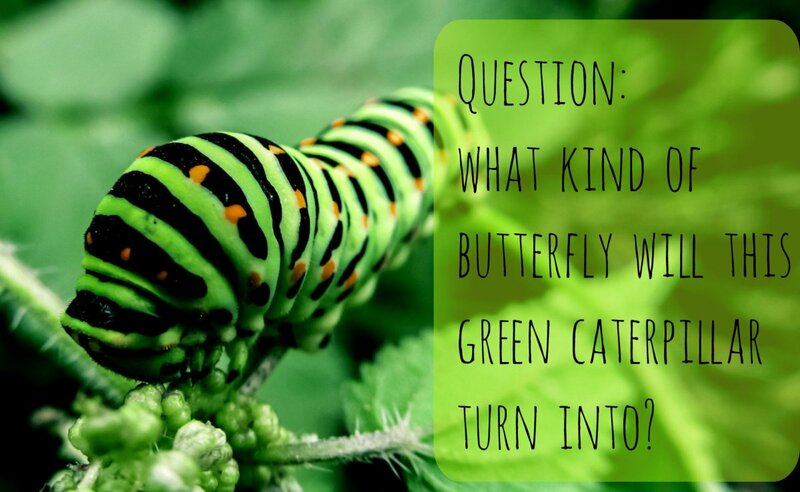 Only if its proteins are extracted and manipulated are they transformed into thread-like material (2). If this is not done, no individual can tell the difference. 1. 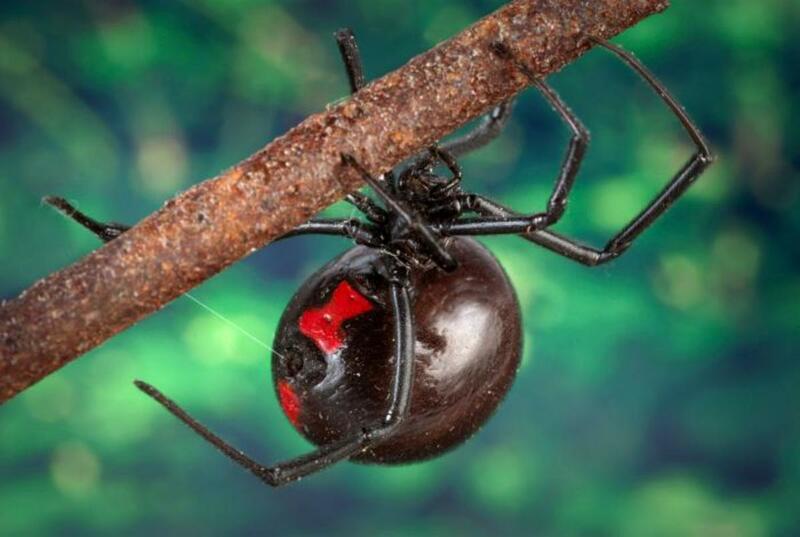 Black Widow: Spiders Spin Thread For Gunsight Cross Hairs. Copyright: The American Surveyor. Published: May, 2005. When I lived in the Calimesa/Yucaipa area in 1967-1982'. I learned about this lady. How interesting! I am still a little creeped put, though. Fascinating as they are, spiders are still creepy. I also cannot wrap my head around spider silk in goat milk! Wow this is a really cool hub and a great topic. Thanks for this excellent work! Always wondered how they made those cross hairs in a scope. Interesting article and amazing. Simply fascinating. Black Widow's are obviously dangerous in the wrong situation, but they are beautiful creatures with awe inspiring abilities. Very informative. Thank you! I do rather feel like an investigator, reading through old articles writen in the 1940s with their black and white photos, seeking out the most fascinating facts and compiling them all together! I'm glad I could find some interesting details you had not already known about! I will have to search for more information about the goats, the article I read only mentioned their use in a very general way. It seemed that they were just milked like they would be normally and afterwards the milk was processed to get the silk but no focus was given to whether or not the goats suffered in any way because of the genetic engineering process. You'd think that tampering with genetics in general would most likely have unforseen consequences...I am very interested in looking into this further, thanks for mentioning it! I've heard of using spider silk for scope recticles, but no thtat we actually had factories preparing it this way. Very good investigative work. I had seen a news items, fairly recently, about the goats (I'm not sure how ethical that is), but I hadn't realised how spiders had helped in the war effort! Amazing! This was such an interesting article. I am so amazed with the Human mind when I read these kinds of articles. 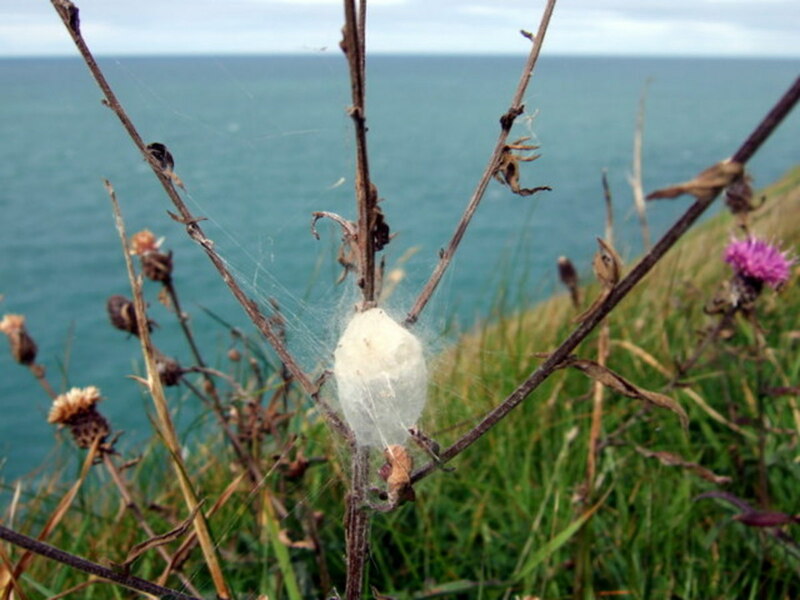 It's so imaginative that something like a spider's silk was ever even thought of for Human use and then put to the uses that we know about today! Who knows how far this will go in another hundred years! Truly fascinating! What an incredibly interesting article. I knew about the spider silk used in gun and bomb sites, but nothing about the production or characteristics involved. Voted up and interesting. I remember this part of history.I had an uncle wo raised black widow spiders for this war effort. I was too young to realize the significance of this venture and of this spider growing web. It filled a whole room (a litle room) full of webs. This was in Speancer WV, anywhere from 42 to 44). I have no idea if he had success in selling the web. I think he patiently wound it on wooden looms of sort. I'm 85 and too old to remember all this. Haha, nice article. The goat part was a great addition. Dropping a link to this man; keep it up. Oh please do share it, Ben! I'm sorry to hear you were bitten, I've seen pictures after recluse bites and it looks like they can dissolve flesh! This is unbelievable! I have never heard of this! Very interesting subject. Didn't know about this until I stumbled this hub! Love it, what a great story, I have to share it with my wwII expert brother. I believe I may have been bit by a widow or recluse once, never thought much about the value of their webs, ingenious. I know webs have also been the inspiration for fishing line and kevlar bulletproof vests I believe. Thank you Angelique! I do too, which is why I love this site. So many interesting topics, I could sit in front of my computer just reading it all nonstop for days. Which is why I sometimes have to turn it off and just walk away for my own good! Amazing hub Schatzie! What a great and interesting read! I learn something new every day. I know, it's amazing that citizens would volunteer to keep hundreds of poisonous spiders in their homes, let alone feed and de-web them! And then those scientists making silk in goats milk? I read that spider thread material as thick as a thumb has the strength to carry a jumbo jet. So your guess is as good as mine what we'll think of next! Very interesting article. Nice to see how the country pulled together during the war, and allowed the hard times to spur us on to greater ingenuity. A motivational message for current times.